Join the legendary Merry Men as you help Robin Hood, the Prince of Sherwood, steal from the rich and give to the deserving poor. If you manage to find Robin then your fortunes will greatly improve (by double) and if you are able to aim true on the bull's eye you'll uncover a special feature. Prince of Sherwood has 20 lines and lets players enjoy the option of betting as little as one cent or as much as $100. Robin Hood is the wild card icon and the scatter symbol is the castle. Start playing Prince of Sherwood and Win Like Never Before. Play Prince of Sherwood Now! The Prince of Sherwood and his band of merry men are famous for stealing from the rich and giving to the poor and that is what this slot machine is based on. While life in Sherwood must have definitely been hard, there is no reason why you shouldn't join this merry band and get some action. With the promise of a jackpot looming in the shadows, the merry men will sure show you a merry time. This five reel, 20 payline slot machine game will sure blow your socks off! After going through the help page, if you need it that is, you can move on to adjusting your bet. If you do not adjust your bet, the computer will by default set your bet as $1. However, if you so choose, you can choose anything from $0.20 to $100. 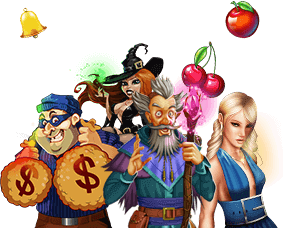 Like most other RTG games, Prince of Sherwood online slots is a 20 payline game and you can choose to play up to 20 lines at once. You can use the Autoplay feature to let the computer take control of your game. The best bet to make some quick money on this game is to hit the feature. The Prince of Sherwood has an interesting bonus feature. If you get three or more archery boards scattered along the five reels, you are taken to a bonus round where you have to choose your player. Once you have made your choice, you will be taken to an archery competition. The first round is to determine a multiplier for your win. You can get up to 100 times your triggering bet. The next round is to ascertain the number of free slots games that you can play. Payline: The term payline is used to denote the amount of lines across the screen on a slot machine. Free Spins: Free spins are the free games that can be won by satiating certain preset requirements. Wild symbol: The Robin Hood symbol that appears on reel one and five is the wild symbol in this online casino slots game. The prizes are double when even one of the symbols appears in a winning combination. Scatter symbol: In Prince of Sherwood online casino slots, the Castle Symbol is the scatter symbol. The scatter wins are multiplied by the total bet.